Achieve a clear and shine-free complexion with Clinique for Men Daily Oil Control Set; a travel-friendly trio of daily facial formulas for oily skin types. Your face will feel purified and revitalised with long-lasting hydration. 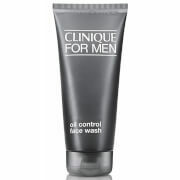 Suitable for normal to oily skin types, the wash refreshes and prepares skin for a closer, comfortable shave, without leaving it tight, dry or dehydrated. Its rebalancing formula effectively dissolves dirt and impurities from the face, whilst removing excess oil and unwanted shine. Leaves you feeling rejuvenated and ready to face the day. An ultra-rich shaving cream developed to soften skin and lift facial hair. Allowing you to achieve a closer, comfortable shave every time, the cream ensures the razor glides smoothly over skin, preventing razor burns or nicks. Soothes just-shaven skin and retains moisture levels to leave it feeling soft and supple. Ideal for daily use, the fast-absorbing moisturiser helps to soothe irritation and razor burn for long-lasting comfort, without leaving skin greasy. Expect conditioned, refreshed and replenished skin with a soft, smooth texture and improved strength. Suitable for oily skin types. 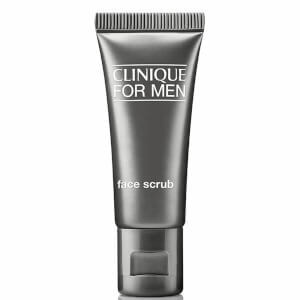 Face Wash: Lather over damp skin to remove dirt and oil and soften beard. Rinse well and towel dry. Mornings, shave as usual. Cream Shave: Dampen beard area and dab a coin-size amount into hands and work between palms. Massage over face against the direction hair grows, then shave in the direction hair grows. Rinse blade frequently under hot running tap water to avoid clogging. Moisturiser: Smooth onto face and neck.